Carolina has conducted workshops, lectures and master classes worldwide. Lessons are available to theremin players at all levels and can be hold online or in person. In 2006, Carolina published the first extensive theremin method book entitled “The Art of Playing the Theremin”, available in German and English. 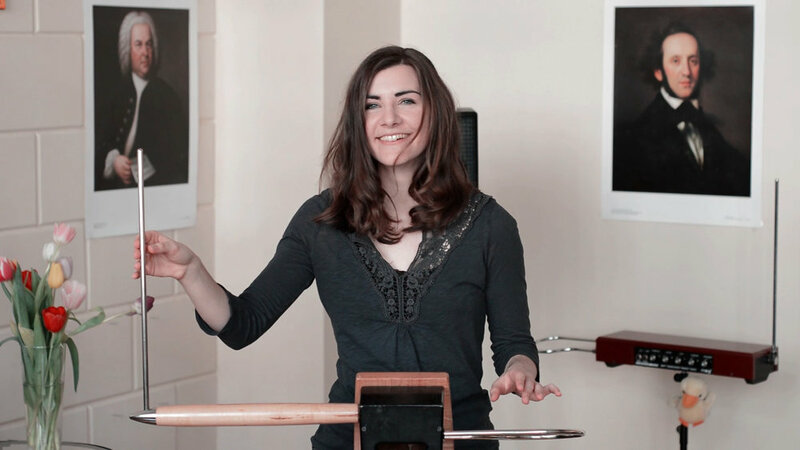 In various video tutorials, Carolina introduces the theremin in multiple languages, talks about different aspects of her playing technique and gives detailed insights for her students.